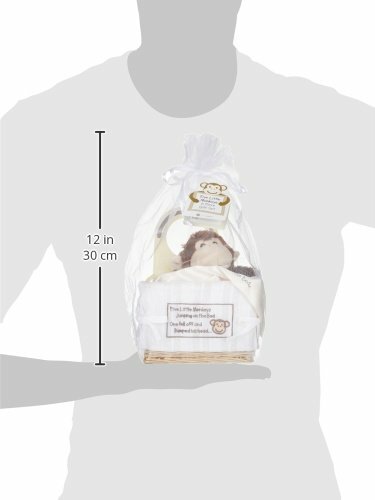 Share the cherished memories of your childhood with the beautiful newborn in your life! 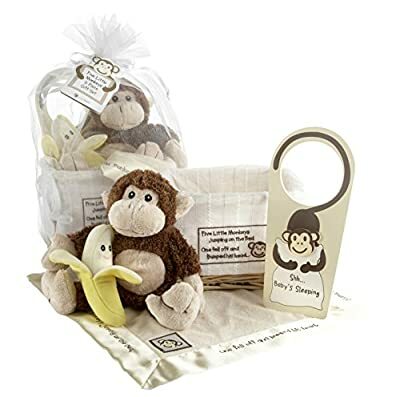 Bring baby the joy of a timeless nursery rhyme with the "Five Little Monkeys" Gift Set, delightfully filled with a bunch of adorable baby-sized toys! This charming gift includes: A precious, bright-yellow, sweet-faced banana rattle. A plush brown-and-tan monkey. 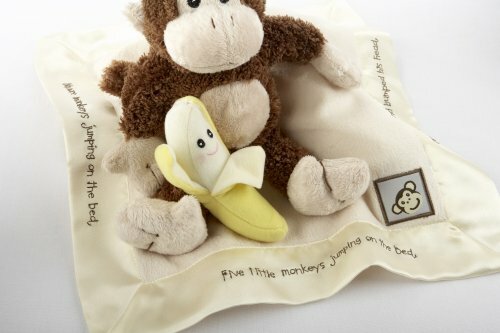 A satin-trimmed, cream-colored "lovie" blanket with a monkey-face applique and part of the rhyme embroidered on the satin trim. 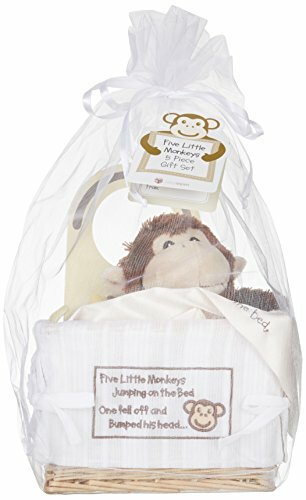 A door hanger, adorned with a long-tailed monkey hugging a pillow to let company know that "baby's sleeping". 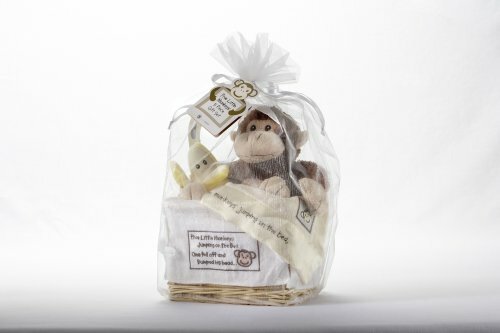 A natural-wood, keepsake basket lined with textured, white fabric featuring part of the rhyme and a smiling monkey on the front.